The first patient has been implanted with the Boston Scientific Corporation next generation INGEVITY pacing leads in a clinical trial designed to establish the safety, performance and effectiveness of the leads for the treatment of bradycardia. According to the company, the INGEVITY pacing lead platform is designed to provide enhancements in manoeuvrability, reliability, fixation and electrical performance compared to standard leads available today. In addition, INGEVITY leads are specifically engineered to function in the magnetic resonance imaging (MRI) environment. The first patient implant occurred in October in Stockholm, Sweden by Fredrik Gadler, associate professor, head of Cardiology and director of Pacing and ICD at Karolinska University Hospital. The INGEVITY trial is a prospective, non-randomised, multi-centre, global clinical study designed to support US Food and Drug Administration (FDA), CE Mark and other regulatory approvals. The trial is expected to enrol approximately 1000 patients at 100 centers worldwide in 16 countries. 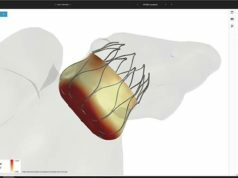 The INGEVITY leads are expected to be paired with the Boston Scientific Ingenio family of pacemakers. In the first half of 2013 the company also expects to begin a separate clinical trial, designed to evaluate INGEVITY leads paired with Ingenio pacemakers for use in an MRI setting, to support FDA regulatory approval for this system combination. It is anticipated by the company that they will seek approval for this system combination in other markets too. The Boston Scientific ImageReady MR Conditional pacing system, which features Ingenio MR Conditional pacemakers paired with FINELINE leads, received CE Mark approval earlier this summer. INGEVITY pacing leads are investigational devices and not available for sale.